It's your HubSpot User Group. 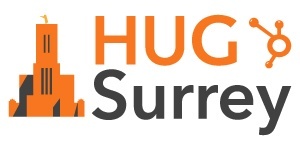 The Surrey HUG is operated by Influence Agents, a HubSpot Certified Gold Partner based in Addlestone, Surrey. We're here to champion best practice Inbound Marketing and Sales, and to answer any questions you have about HubSpot - the World's leading inbound marketing and sales software.